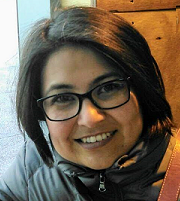 Claudia Wiederholt is a Bilingual Spanish support staff for Extension Dane County. She was born in Mexico City and moved to Madison in February 2006. For the past 11 years Claudia served in the banking industry where she provided high quality public service. She lives in Madison and her volunteer community service is a very important part of her life. Her community service has allowed her to travel and serve where the need is great. She spent 4 years in Zambia, Africa prior to moving to Madison. Claudia values diversity, culture and loves the earth. She believes that knowledge empowers people and she is very excited to join Extension with the purpose to teach, learn, lead and serve, connecting people with the University of Wisconsin, and engaging with them in transforming lives and communities. Claudia can be reached at 608-224-3704 or wiederholt.claudia@countyofdane.com . 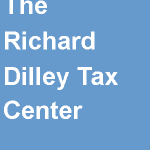 The Richard Dilley Tax Center is open! Are you interested in having your 2018 taxes prepared for free by experienced, friendly volunteers? Come visit us at the Richard Dilley Tax Center!